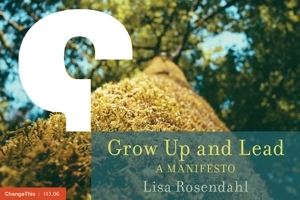 Lisa Rosendahl — Why Would You Put Your Kid's Face on a Blog? Why Would You Put Your Kid's Face on a Blog? I entered into a joint venture with the kid a few years ago and we created a blog, RaisingTarah.com. The writing has stopped but I can't bear to shut the site down until I find a way to make a book or something like that to save it for all eternity. Any ideas?Anyhow, I came across my post. This was written in 2010 and I am still asked the same question today. I attended the Minnesota Bloggers Conference a few weeks ago. Many of the attendees blogged about their children or very personal subjects and the topic of privacy was a point of discussion throughout the day. I recall talking to a neighbor about my kid going to daycare because I worked. I was feeling guilty and wondering if I was a "good" mom. What she said to me then still sticks with me now. She said, "good moms find good day care." Social media is here to stay. This "online world" was unknown to me 4-5 years ago. And I was a bit afraid. I knew that me being afraid of a world that I would have to guide my daughter through was unacceptable and would have to change. I chose to immerse myself in social media. A matter of paramount importance to me throughtout has been privacy. Privacy for myself is one thing and privacy for my daughter, Tarah, is another. Tarah is digitally distinct - not because of anything she's done, but because of things I've done. I chose to expose my daughter to social media and to include her (and her face) in it. Why would a parent put a child's face on a blog, school pictures on Facebook, or buy her her own domain? Why not? And I ask that not flippantly or throwing caution to the wind. Really, why not? The "why not" for us is that it is one thing to be uniformed and afraid - it is another to be informed and aware. We, as a family, choose to be informed and aware. We are maneuvering through the web, the tools, and the changes carefully, thoughtfully and in a way that we feel is right for our family. This may not be right for you. And that's ok. It don't agree with the clothes you let your daughter wear or the way you let her talk back to you, or the way you let your son skateboard through town on his own when he should be in bed or . . . but I digress. We are not all going to agree on privacy, nor should we. What matters is that we, as parents, are making the choices that we feel are right for our family. It's about choice. Privacy is personal. Only you can decide.